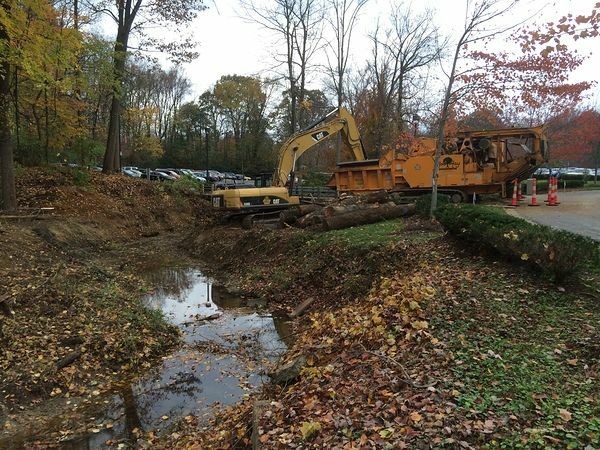 E-Z Construction completed an innovative stream restoration project flowing adjacent to St. Mary’s Hospital in Louisville, KY. 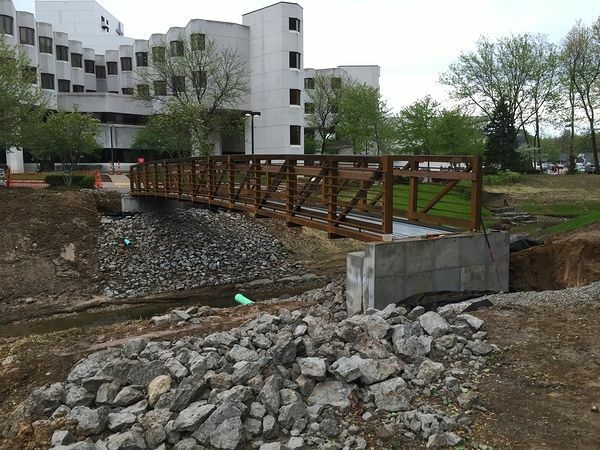 The project mitigated flooding issues which had previously caused millions of dollars in damage to the Hospital. 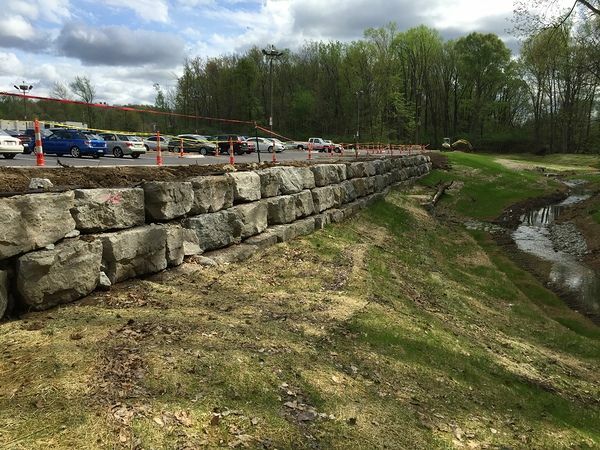 New green infrastructure engineering solutions were utilized consisting of natural materials placed in strategic locations along the stream to prevent future flooding and maintenance issues. 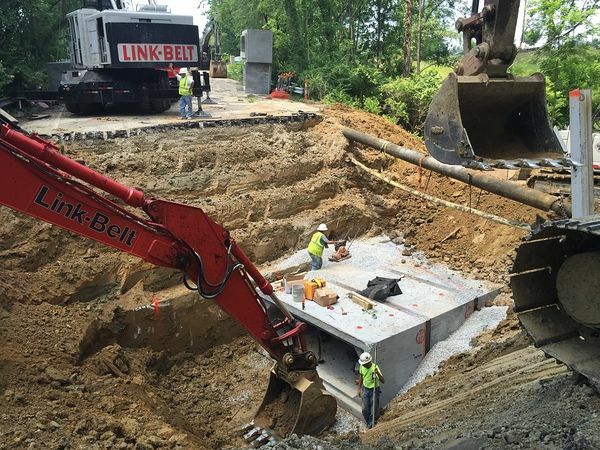 The project team consisted of HDR Engineering, Redwing Ecological Services, Jewish Hospital/St. Mary’s Hospital and E-Z Construction. Jewish Hospital and St. Mary’s Healthcare, Inc.